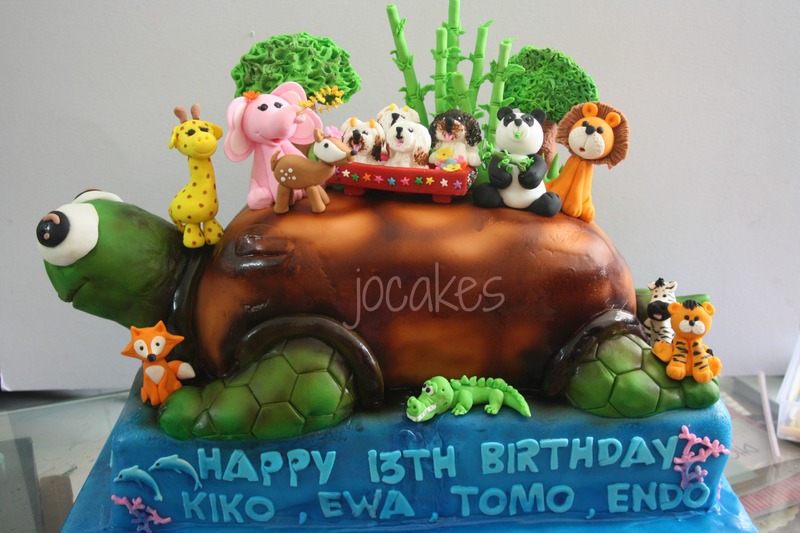 Tortoise cake for dogs birthday party. 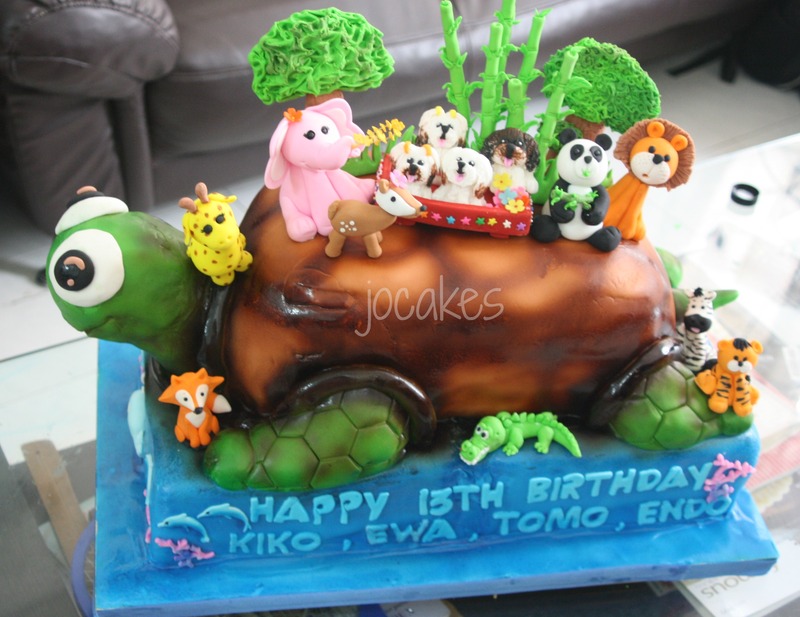 Posted by Josephine Stanley in Dog cake, Tortoise cake. It’s for dogs birthday party at Phuket Island, Thailand. This cake was done by my daughter from www.petsdelectable.wordpress.com for her regular client. This cake weight is estimated at 35kg and is very very heavy to me…hehehe . 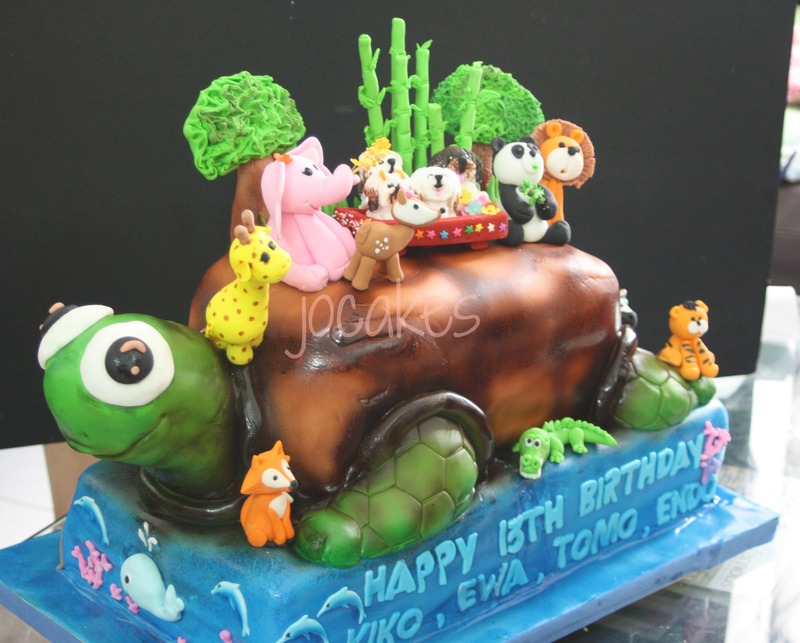 The tortoise cake was packed in a big box except for the figurines in a smaller box before sent by air cargo to Phuket Island.